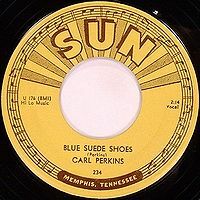 As we realize that this means a wholesale replacement of our accessories, we might recall that it was on this date in 1955 that Carl Perkins recorded his rockabilly classic “Blue Suede Shoes” at Sam Phillips’ Sun Records studio. Released at the start of 1956, the single was a hit, and was ultimately covered by a number of other acts– most famously, by Elvis Presley. 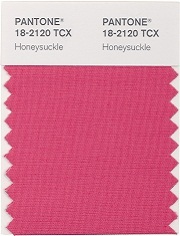 The B-side, also written by Perkins, wasn’t too shabby either: “Honey Don’t” was covered by at least 20 other acts, including The Beatles.